Enjoy the best inspirational, motivational, positive, funny and famous quotes by Ari Herstand. Use words and picture quotations to push forward and inspire you keep going in life! Don't tell people you are broke. 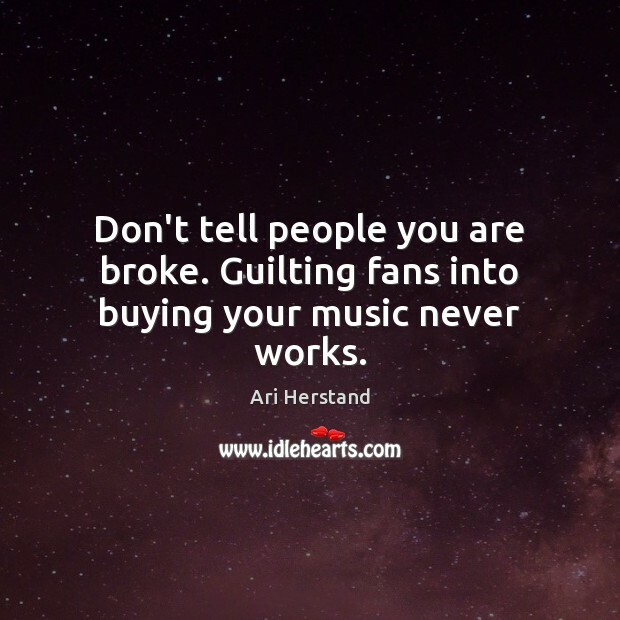 Guilting fans into buying your music never works.